Douglas Hambley has excelled as a senior associate with Agapito Associates, Inc., since 2007. 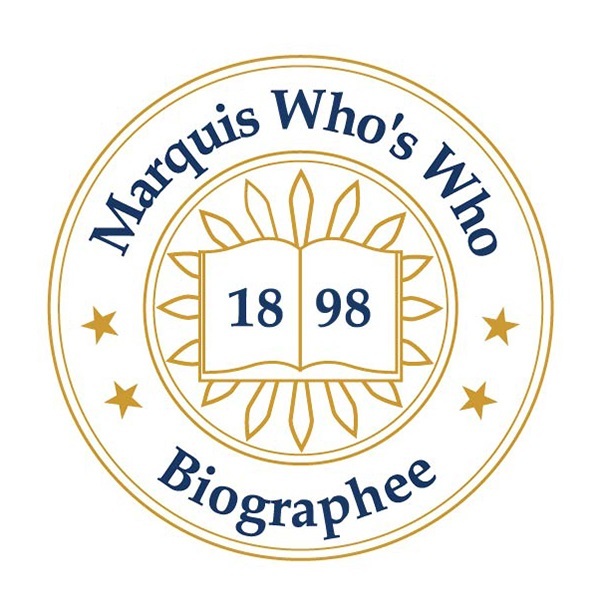 LAKEWOOD, CO, January 21, 2019 — Marquis Who's Who, the world's premier publisher of biographical profiles, is proud to present Douglas F. Hambley, PhD with the Albert Nelson Marquis Lifetime Achievement Award. An accomplished listee, Dr. Hambley celebrates many years of experience in his professional network, and has been noted for achievements, leadership qualities, and the credentials and successes he has accrued in his field. As in all Marquis Who's Who biographical volumes, individuals profiled are selected on the basis of current reference value. Factors such as position, noteworthy accomplishments, visibility, and prominence in a field are all taken into account during the selection process. With more than 45 years of professional experience, Dr. Hambley has excelled as a senior associate with Agapito Associates, Inc., since 2007, after being in private practice from 2005. Prior to obtaining these roles, he worked as a senior consultant with Practical Environmental Consultants, Inc., from 2000 to 2005, a project manager with Graef, Anhalt, Schloemer and Associates, Inc., from 1992 to 2000, and a manager with Nova Environmental Services in 1991. Dr. Hambley previously found success as a senior consultant with Dunn Geoscience Corporation in 1989 and a research assistant with the University of Waterloo in 1988. From 1990 to 1991, Dr. Hambley held the position of a civil and geological engineer with Argonne National Laboratory, where he was a mining engineer from 1984 to 1988. He further served as a senior mining engineer with Engineers International, Inc., from 1980 to 1984, a project engineer with Denison Mines, Ltd., from 1977 to 1980, and a mining engineer with Harrison Bradford and Associates, Ltd., from 1975 to 1976. Dr. Hambley began his career as a mining engineer trainee with Falconbridge Nickel Mines, Ltd., from 1974 to 1975 and a junior engineer with Iron Ore Company of Canada from 1972 to 1973. Dr. Hambley initially pursued an education at Queen's University, earning a Bachelor of Science with Honours in mining engineering in 1972. After accruing some experience in the field, he returned to part-time studies at Lewis University, where he obtained a Master of Business Administration in 1986. He concluded his studies at the University of Waterloo, graduating with a Doctor of Philosophy in earth sciences in 1991. A professional geologist in Indiana and Illinois, Dr. Hambley is a registered professional engineer in Canada, as well as in the states of Illinois, Michigan, Nebraska, Ohio, Pennsylvania, and Wisconsin. From 1996 to 2000, he was a member of the Illinois Board of Licensing for Professional Geologists. Throughout his career, Dr. Hambley has been celebrated for his contributions. He has been featured in numerous publications, including multiple editions of Who's Who in Finance and Industry, Who's Who in America, Who's Who in Science and Engineering, Who's Who in the Midwest, Who's Who in the World, and Who's Who of Emerging Leaders in America. Likewise, Dr. Hambley accepted Certificates of Appreciation from the Office of Geologic Repositories in 1987, the Illinois Department of Professional Regulation in 2000, and the National Groundwater Association in 2004. In recognition of outstanding contributions to his profession and the Marquis Who's Who community, Dr. Douglas Hambley has been featured on the Albert Nelson Marquis Lifetime Achievement website. Please visit www.ltachievers.com for more information about this honor.